The place to find new business ideas! eBay – Hobby or Business? Drop Shipping- What Is It and How Does It Work? What Can a Business Coach Do for Me Anyway? What Exactly Can a Virtual Assistant Do? Are Parties Necessary for Direct Sales Success? Are you podcasting? If not, the time is now! The release of Mom’s Talk Biz, Guide to Podcasting and Internet Internet Radio couldn’t come at a better time. I just finished reading this new EBook and was so intrigued I searched for news on podcasting. It mistakenly thought podcasting had fallen by the wayside with all the flashy new trends in video. Boy was I wrong! What I found was amazing. According to new research reported by Emarketer this week , more than 18 million people in the US listened to a podcast in 2007, a number that is expected to increase dramatically over the next five years! And, naturally, the growing number of podcast listeners means podcasts will attract a bigger share of the advertising spend, from $165 million last year to $435 million in 2012. Incredible! Whether you’re podcasting for fun or profit, or both, its clear audio content is here to stay in a big way. Mom Talk Biz’s new 31-page step-by-step guidebook is a perfect place to start. You’ll easily have your radio show or podcast up and running in no time! The book comes through on its promise to not only give you a complete intro into creating and hosting an internet radio show but will teach you how to podcast your audio content easily and affordably. “Podcasting is simply making media content available via RSS – and when you think of it that way, you realize that you should be podcasting in one way or another.”, the author notes. • Your market wants it! Competitors want it! You want it! It’s simple. Your market wants to choose how they will consume your content. If you are writing articles for your website or for distribution, there are many in your target market that would prefer to listen to that article than stop to read it. Even those who reach your target market – website owners, newsletter editors and podcasters would like audio to choose from for their projects. And you want to share your content by making use of and embracing all available technologies. You may not choose to create an entire radio show but simply podcast the content you already have. Ideas, seminar audios, articles, special reports even EBooks. Let’s face it, doing your own radio show or even podcasting segments of your content sounds complicated and expensive. This guide dispels that myth completely! • How to easily create, produce and market your podcast with one simple tool inexpensive tool, or many. It’s been said that podcasting is like blogging out loud. Let your voice be heard! Podcasting can grow your business, and/or allow your opinions be heard…all while having a great time! I’m confident this Ebook can help make your podcasting dreams a fast and professional reality! Get Your Copy of the Mom’s Talk Biz, Guide to Podcasting and Internet Internet Radio here! Direct Sales entrepreneurs are part of a fast growing sector – one of the most fun and lucrative of all at home businesses. Recent research indicates there are close to 50 million direct salespeople who sell billions of dollars worth of products and services worldwide each year! Amazing. If you’re an energetic, passionate, people person Direct Sales is an especially good choice. However, it’s not without pitfalls. Before jumping in I highly recommend grabbing a copy of Mom’s Talk Biz, Guide to Direct Sales Success – a new outstanding comprehensive, 41-page, step-by-step guide. A must have how-to guide for anyone enticed by a direct sales career. The author shares her personal experience in sales along with years of information gleaned as host of Work at Home Moms Talk Radio which has offered her a front row seat getting to know and learn from successful direct sales professionals. She also provides an opportunity to gain knowledge from their failures. Included is wonderful interview she did with the owner of a home based start up that grew fast but ended up failing due to lack of planning and funding. The book acts as a personal guide, a wise sage guiding you through creating, running and growing a direct sales business. The advice is clear, well researched and includes even the most nitty-gritty details including profiles, insights and real stories of success and failure. “Because it can be difficult to tell whether a company is solid or not just by looking at their website or print materials, when researching a direct sales opportunity, take the time to ask important questions.”, the author notes while providing a complete check list to fully assess direct sales companies . You’ll learn how to make the best decisions about starting and running your business from home. You’ll learn what a Direct Sales business involves, how to find clients, what to charge, how much money you can make and lots of tips and tricks for being successful. • What skills and training are needed to own and operate a direct sales business including tools and materials you need to get started. • How much you can make from a Direct Sales business and how to maximize profits. Novices and pros alike will find great how-to’s on being a leader and successfully coaching a team, setting up a website and driving traffic to your site, organizing business books and finances; setting goals, creating a business plan. One of the best sections of the book is incredible information and wisdom about balancing and integrating your home life and business. 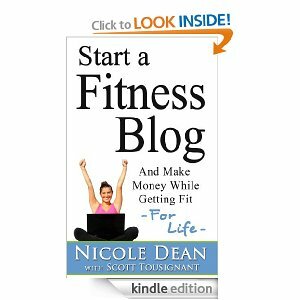 You’ll also find information about time management, setting goals and staying organized while working from home. Mom’s Talk Biz, Guide to Direct Sales Success is the perfect guidebook giving you a complete roadmap to direct sales success! Are you a wiz with money? Do you have great organizational and office skills? Are you looking to start a home business but aren’t sure how to make it happen? If so, you need look no further than Mom’s Talk Biz, Guide to Start your Own Bookkeeping Business. This outstanding 61-page e-book is a step-by-step roadmap to assist you in creating; running and making your bookkeeping business thrive. A definite “let’s make your dreams come true” kind of book! I find many e-books on the market promise a lot. While they may impart some good info many tend to gloss over the nitty-gritty details essential to your success. Not so with this well-written and researched, clearly outlined guide. The first several chapters of the book help you set a solid beginning by asking and answering these key questions: What is bookkeeping? What do bookkeepers do? Are their services needed? What skills should you have? Do you need professional training? What equipment do you need and what are start up costs? After setting the stage and helping establish a sound basis for your new business the guide moves you into the action phase. The next chapters share sage advice on several key topics. Running a business from home requires a web presence. It sure beats a long commute! Let’s face it even for those who are Internet savvy creating and publishing a successful website can be baffling. This guide doesn’t just tell you to have a website, it very impressively offers clear directions to get it done…and done right! Working from home sounds fabulous…it is fabulous! However, it takes some juggling and tight organization to make it a success. One of the final chapters, Balancing it All – Business & Home Time Management Tips is an amazing finale to an already feature filled guide. Sharing wise tips on how to juggle it all! The guide wraps up with a wonderful section filled with every possible resource needed to set up and help your business thrive. You get the feeling through the entire book you’re not alone but have a learned teacher by your side! I highly recommend, Mom's Talk Biz, Guide to Start Your Own Bookkeeping Business . Can you Type? 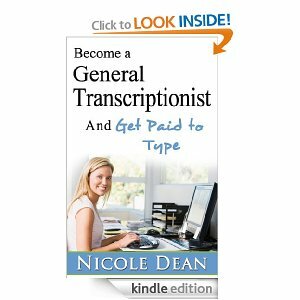 Become a Transcriptionist. No Fuss. No Muss. Get a Blog Today!